Australians tend to put off major work around the house, like roof replacement, on the pretext that the project would cost too much. That’s okay to do if your roof is not leaking and you don’t have strategically placed buckets catching dripping water from the ceiling. 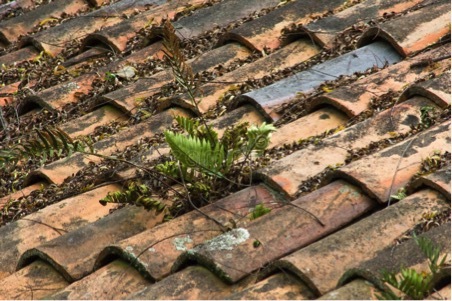 Or there are some dangerous sags in the middle of your roof, moss is so long it needs mowing, and the colour of your tiles is a lighter shade of black. An old roof is just that – an old roof. Cracked, broken and missing tiles and shifting ridge capping can certainly make your house stand out in the neighbourhood. Put up with that if you want, but eventually, a roof in deteriorating condition will need replacing. It’s not as expensive as you might think. Find a good roofing contractor and have them inspect your old roof, measure it up, and agree to costs and schedule the job. That’s an ACTION PLAN. If you have your house plans tucked away in a drawer somewhere, work out the area of your roof and multiply it by the charge per square metre that contractors will quote you. All American Roofing is a highly recommended contractor that you can ask to come out and provide you with a quote. 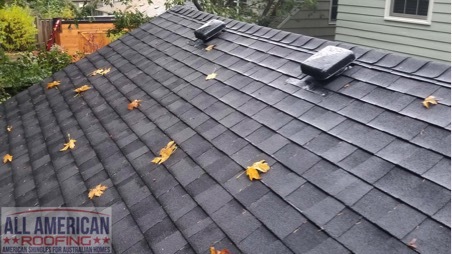 Apart from the obvious problems mentioned earlier, which are really tell-tale signs that you should make you seriously consider a roof replacement, you should check out your roof closely to see how it is aging and weathering. Those cracked and missing tiles, ridge caps broken and missing, thick, green moss growing over the tiles, and water damage underneath, are all signs that a roof replacement is imminent. If you can get away with a few repairs, then that’s the way to go, but the end goal should be to save some money and eventually replace that roof. A spate of bad weather and high winds might make your mind up for you a little quicker. It can get pretty windy in Melbourne, Sydney, and Brisbane. What roofing material appeals to you? Replacing your old roof with colorbond or sticking with the clay or concrete tiles are options. But if your home has a bit of old character, a tin roof won’t increase the aesthetic beauty of your dwelling. There’s a new kid on the block in the way of roofing materials that can add years to your home, add huge curb appeal, and won’t set you back a small fortune. We’re talking about asphalt shingles which are becoming increasingly popular in Australia after dominating the US roofing material market for houses there. For some reason, people tend to think asphalt shingle roofing is a poor man’s choice, but nothing could be further from the truth. By just looking at photographs of asphalt shingle roofs you can see just how great they look as a finished product on a house. It doesn’t matter if the house is a newly built, modern design (although you wouldn’t be looking a roof replacement for a new home! ), or over 100 years old, there is an asphalt shingle roofing style that is suitable for that architecture. There’s also that pioneering aspect of using asphalt shingles on your roof. If you are reading this article, you should take the time to read the one about roofing your home with shingles and how it’s done. There are some very significant differences in the way an asphalt shingle roof is installed, compared to what you are looking at replacing. How much does it cost to install a new asphalt shingle roof? Best bet is to talk to us at All American Roofing because it’s not just about giving you a price over the phone. You need to see the product up close, look at all the different styles, and then work out what will look best on your home. And, every home is different. If you want to estimate the cost of your roof replacement for yourself, you can do a preliminary cost estimate. When you want an accurate quote, then call us. In the meantime, here are a few tips on how to do it yourself. Common sense will tell you that the bigger the roof, the higher the cost. You should also know that the pitch, or slant, will probably add costs due to the additional time it takes to install. If you don’t have your house plans, then you can climb onto the roof (carefully), and measure it. But if it’s a rough estimate you want, then pace it out around the outside of the house, on the ground. Once you have it measured out, call your roofing contractor and find out the rate they charge per square metre for different products. Obviously, the material you finally decide upon will have a lot to do with your final costs. Colorbond and zincalume roofing could be cheaper than clay or cement tiles. All other roofing materials are more expensive than asphalt shingles. How long will a new roof last? Well, if you were to say a metal roof will last longer than asphalt shingles, does that really matter when the warranty on the shingle roofs ranges from 25 years to 50 years? No. There are other advantages with asphalt shingles in the installation process that might suit your home a lot better. Contact All American Roofing to get that information. It’s actually pretty interesting if you know nothing about asphalt shingle roofing. Normally you would get a quote from your roofing contractor that covers all aspects of the job. That would include supply and installation of the new roof as well as removal and disposal of the old roof. Any roofing contractor will give you a quote based on completing the whole job. Do you want a good job? Get a good roofing contractor. In a country like Australia, there are many rules and regulations in place to ensure that roofing contractors adhere to construction standards, are accredited with a building association, and maintain safe working practices. Australian roofing contractors are highly qualified and are equipped with the necessary skills to have your new roof replacement done in the shortest time possible and at the best budget. But, not all contractors are equal, and common sense will tell you that some are better than others. Contact us at All American Roofing for asphalt shingle roof replacement and great advice on styles, costs and the installation process.